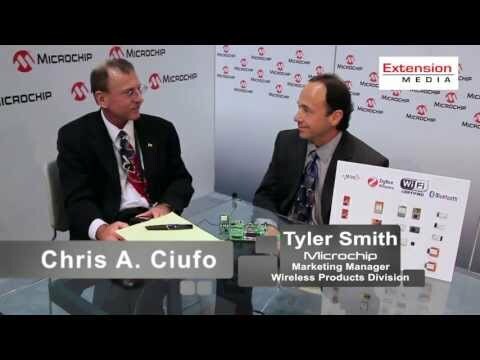 At the recent DESIGN West 2013 conference in San Jose, Microchip unleashed a "broad expansion" of new wireless products targeting the M2M, connected cloud, and intelligent devices spaces. There’s also a new PIC32 digital audio development kit for Bluetooth audio streaming, plus 802.15.4 modules for ZigBee. This entry was posted on Wednesday, June 5th, 2013 at 4:37 pm and is filed under Prepared By Editor, Videos / Podcasts.